The Princess Margaret Cancer Foundation Toronto Canada – Every patient oat Princess Margaret benefits from the close partnership with a highly specialized team of experts who care for you and your family. 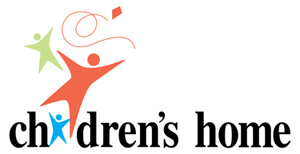 Children’s Home of Peoria, IL – Children’s Home of Peoria, IL has been caring for the children of Peoria for nearly 150 years. Operating from 6 locations in the Peoria area, we are committed to community-based family-focused programs that provide counseling, education and support to more than 1100 children and families each month. Programs for children and youth include residential care, group homes, foster care and adoption, supervised independent living, orivate schools, crisis intervention, mental health assessment, homeless serviced, in-home counseling and family preservation. Water Hope – Ever day people, mainly children, all over the world suffer and die because they do not have access to clean drinking water. Water Hope is a non-profit foundation established to raise money for those people. 100% of public donations go directly to the Children of the World who do not have access to fresh water. Waterhope.org for more donation information. War Fighter Sports / Disabled Sports USA – offers sports rehabilitation programs in military hospitals and communities across the United States through a nationwide network of over 100 community-based chapters. Warfighter Sports serves severely injured military, both active duty and veterans, with a permanent physical disability such as amputation, traumatic brain injury, spinal cord injury, visual impairments and significant nerve and muscle damage. 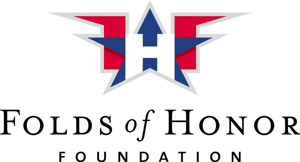 Folds of Honor Foundation – Returning from his second tour of duty in Irag, Major Dan Rooney, An F-16 Fighter Pilot in the Oklahoma Air National Guard, became painfully aware of the reality families face when a loved one in uniform is fallen or disabled. His vision launched the Folds of Honor Foundation which provides educational scholarships to the children and spouses of our fallen and disabled service members while serving our nation. Birdies for the Brave –Proudly supported by the PGA TOUR, Birdies for the Brave®is a national military outreach initiative dedicated to honoring and showing appreciation to the courageous members of our U.S. Armed Forces and their families.